This February the Town of Palm Beach passed a resolution of support for banning single-use plastic bags in their community. The Town took up the issue because of the hard work and environmental advocacy of a local 9th grader, Gray Foster. 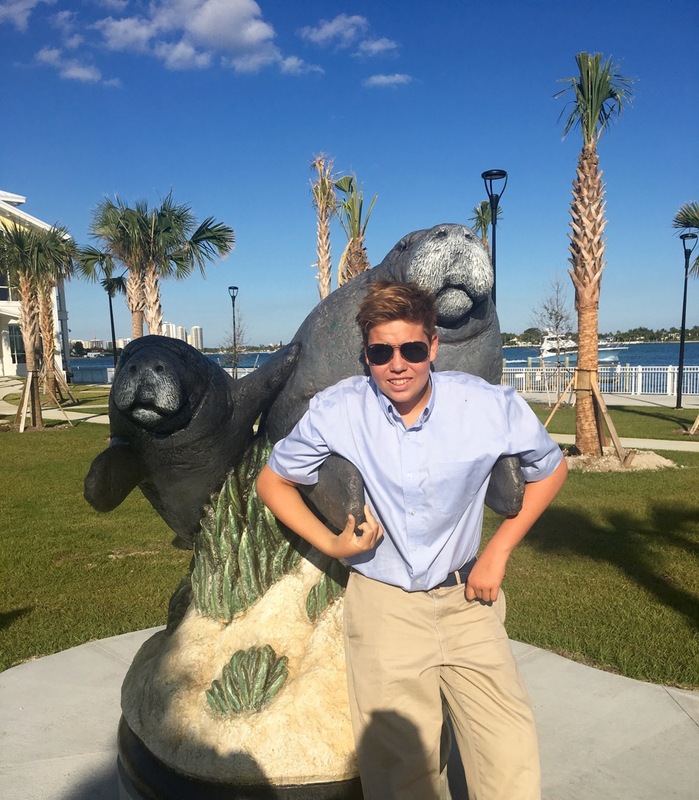 Gray is a student at Palm Beach Day Academy and is passionate about protecting our ocean, waves, and beaches. At the Surfrider Foundation, we were so inspired by his advocacy that we decided to interview him as our March Volunteer of the Month! What are some local issues that are affecting your ocean or beach? The sand washing away seems to be what people talk about most here in Palm Beach. The town is always talking about how to get the sand back, but they never seem to talk about getting the dunes back. Pumping the sand around makes no sense because the ocean is going to put sand where it wants to. Town leaders say they need to pump sand to protect from storms, but they should never have let there be buildings on the dunes in the first place. Every time they pump sand they ruin it for surfers, but eventually the ocean takes back over and we get our breaks back. Also, plastic bags and fishing tackle are a big problem on our beaches. What got you concerned about the impact of single-use plastics on our ocean? I am involved in a few different beach clean-up groups and we have a lot of trouble getting the tiny bits of plastic off the beach and I know that is what turtles and fish will eat. Plastic bags turn into clear spaghetti and is just so hard to pick up. All the water bottles and caps and other trash are gross, but at least we can pick them up and I’m pretty sure a turtle isn’t going to eat a flip flop floating in the ocean, but I know they will eat a baggie and it might kill them. If you could tell your elected officials anything about our ocean or environment, what would it be? Here in Florida if we don’t keep the ocean clean there will be no tourism. The beaches are the main reason people come so if you are an elected official and you aren’t doing something about trash on the beaches then you don’t care about Florida at all. Of course there is golf, but if there was as much trash on every golf course as there is on every beach, maybe our elected officials would do something about it. Why is it important for young people to get involved in protecting the ocean? Young people are the ones who are going to have to deal with the problem when it gets too big for individuals to handle. We are the ones who have to remind people that their trash doesn’t go away even when you die. My grandfather tells me stories of finding conch and lobster everywhere on our shallow reefs when he was a boy. I have never seen that. I’ve also never, ever seen him use a plastic grocery bag or a plastic water bottle and he would never walk past a piece of trash and not pick it up. He’s 80 and if he cares enough to do his part, we have to also. I don’t want to explain to my grandchildren that we knew about the Pacific plastic trash gyre, but plastic bags and water bottles were just too convenient to give up. What was something that you learned while writing and researching your report on plastics? Florida has a law to prevent towns and small cities from doing anything about single use plastic bags. That makes absolutely zero sense when you think of how much coastline we have and how important our beaches are to our economy. It also means that Florida doesn’t think individual citizens should be able to make local government decisions. Who exactly does this law benefit? Even if you don’t care about plastic bags trashing our beaches and killing sea turtles, you should be worried that the state made a law that only benefits a small, specific group like plastic grocery bag makers instead of protecting the main industry of our state. I do every sport I possibly can on the ocean: bodyboard, paddle surf, kite board, windsurf, fish, free dive, sail, basically anything that means I can be in the water. Ocean conservation is a passion for me because it’s my whole life out there even when it’s cold or rough and not just a sunny beach day. I’ll keep doing whatever I can to protect the creatures out there and keep our ocean healthy.